Download Nickelson – “Blessings” (Prod. By Cyprus) mp3 now. Download Music MP3 Nickelson – “Blessings” right here. 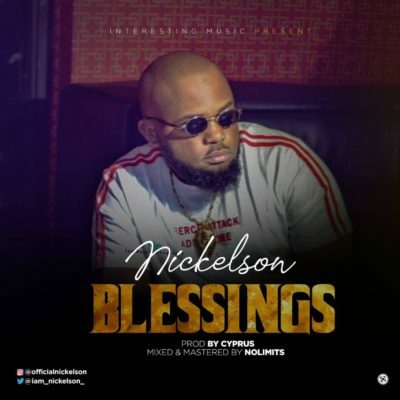 Interesting Music front line artist Nickelson start up the year new year with a beautiful song he titled “Blessings“, The Song Blessings is an inspirational song for everybody and very enjoyable song to kick start the year, song was produced by Cyprus mix and mastered by No Limits download and enjoy below. NB: Please be aware that Nickelson – “Blessings” (Prod. By Cyprus) is hosted outside this particular website as we host NO file. In case of any copyearight claim and request for take down, kindly use our 'contact us' page to put a notice across.